Chris makes his QS debut with an insider’s analysis of Stoneforge Mystic and its cyclical price history. Filed Under: Analysis, Buying, Eternal, Finance, Legacy, Modern, Online marketplaces, Standard, Why is it Banned? Why is Mental Misstep Banned in Modern? Mental Misstep rose quickly and was banned decisively. 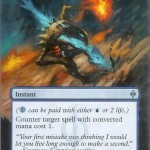 Here’s some history of the card’s impact and some questions about its effectiveness in Modern. Filed Under: Free, Why is it Banned? 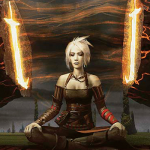 Why are Ponder and Preordain Banned in Modern? The two most powerful one-mana cantrips in Modern are banned. They seem innocuous enough at first glance, so why are they illegal? Filed Under: Free, Modern, Timeless Info, Why is it Banned? 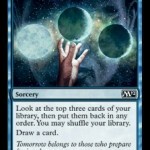 Why is Jace, the Mind Sculptor Banned in Modern? 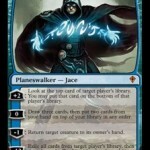 During his reign of terror in Standard, Jace was a centerpiece of Caw-Blade decks. By the time New Phyrexia was released, the metagame was so dominated by this archetype that Jace, a mythic from the small winter set Worldwake, broke $100. What led him to being banned elsewhere?